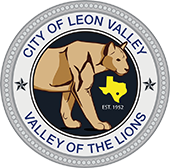 The City of Leon Valley is partnering with the American Red Cross Serving Greater San Antonio and the Northside Independent School District to perform an Emergency Shelter Simulation at John Marshall High School on Saturday, June 9th from 8:30AM until 3PM. The simulation will include volunteers from different supportive emergency services, including Community Emergency Response Teams (CERT) from surrounding areas. This simulation will break participants into small groups where they will learn the different functions of an emergency shelter, to include; registration and information, food service, dormitory setup, and more. John Marshall High School is one of many approved emergency shelter locations throughout the region. Area residents are invited to attend and learn more about how an Emergency Shelter operates, and how to volunteer with the American Red Cross. “This is a great opportunity for our community to prepare and learn how we can best prepare for a disaster”, said Mayor Chris Riley. Assistant Fire Chief, Blake Wade stated, “We are grateful for our Northside ISD and the Red Cross partners and look forward to learning even more about how we can best prepare and serve our community”.